QuayConnect represents a sea-change in the way goods flow around the world - moving more goods, more efficiently and minimising costs while significantly reducing our collective impact on the environment. Staying one step ahead of the game is an essential element of the QuayConnect strategy so we are thrilled to introduce to customers our latest innovation, PELORUS. Pelorus is an intuitive system that gives you total visibility as your cargo travels along the supply chain while delivering on-time information direct to users. This cargo monitoring, visibility and management application allows straightforward, step by step control and data sharing capabilities from order to delivery, with all transactions kept secure by end to end blockchain security. Learn how Pelorus can improve your export process and cargo visibility by visiting our website: www.pelorus.wine. Experience app features through the demo button on the website and remember to sign up to be among the first to hear about our latest innovative developments and be in the running to win a tracked case of wine right to your doorstep. QuayConnect is proud to announce our Associate Sponsorship of the much awaited Sauvignon 2019, The International Sauvignon Blanc Celebration in Marlborough 28 -30 January. The three day event is a four-yearly wine industry event which hosts the world’s leading wine producers, experts and key influencers. The 400+ attendees of Sauvignon 2019 will hear from the people who grow, sell and make the wine on subjects of marketing, styles and diversity from across the world. The celebration will shine a light on the best of the Marlborough region and New Zealand wine to the rest of the world. 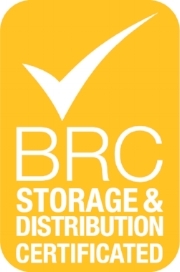 By achieving a globally-recognised food safety accreditation from British Retail Consortium (BRC) this year, the QuayConnect team is now offering even greater support to NZ’s wine industry. By redefining connectivity between producers, suppliers and customers around modern, port-side storage hubs, QuayConnect moves more goods, more efficiently and saves customers money while significantly reducing the wine industry's very real impact on the environment. Our innovative model has seen QuayConnect acknowledged with two prestigious national awards – the Ministry for the Environment 2017 Green Ribbon Award (Resilience to Climate Change) and the Chartered Institute of Logistics and Transport Award for Innovation in the Transport and Logistics Sector, along with a finalist placing in the 2017 Deloitte Energy Excellence Awards. In just over one year, while managing increased volumes, QuayConnect halved truck journeys (on average 14 fewer truck journeys per day), reduced driver time by over 10,000 hours, saved 348,436 litres of fuel and over 1,600 tonnes of CO2 equivalent when compared to the previous model. What are QuayConnect customers saying? QuayConnect is the future of distribution logistics. QuayConnect is a better way of distributing goods, by focusing movement around a central, port-side storage hub, resulting in optimal import and export loads through all phases of the supply chain. What's wrong with the existing model. With current distribution methods, there are simply too many under-utilised ship movements, empty truck transfers, unnecessary storage stops and underfilled trucks making their way around New Zealand. QuayConnect represents a sea change in import and export flow - it's the future of distribution logistics chain. Talk to us today to learn about how your business can benefit from QuayConnect!